There is nothing worse than you or your buddy hooking into a nice one only to realize that the net is caught in a cluster of fishing line, rod tips, treble hooks, or a host of other things NOT supposed to be in a fishing net. Make sure to have your net ready. 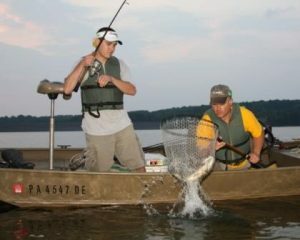 For tournament fishermen, it is common practice to have the net laying on or near the seats, so it is up and off the floor and ready for use. The whole idea of this fishing thing is that you’re going to use it, right? Be conscious of where the net is at all times. 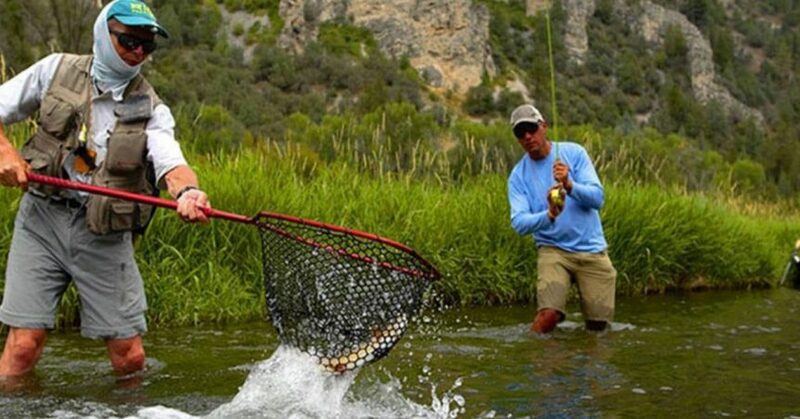 If you are fishing with a partner, make sure to give them enough room to fight the fish. All too often, people get excited and want to get up on the front deck or near the angler that is hooked up to see the fish only to get in the angler’s way in some fashion, causing them to lose the fish. Wait until your partner says they are ready for the net before getting too excited and entering their personal bubble. Probably one of the worst things a net man can do is to try and rush the landing. Do not chase the fish around with the net. 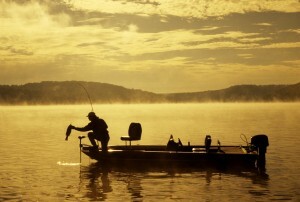 Let the rod and reel do the work until the fish isn’t quite as energized and is ready to be landed. 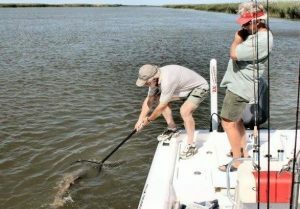 Rushing this process can cause the fish to take unnecessary runs towards deep water, causing a more drawn out landing process and putting additional stress on the fish. It also gives the fish more opportunity to spit the hook. Don’t stab at the fish with the net either. When net men get antsy, they tend to lunge forward directly at the fish with the net instead of using a scooping motion underneath the fish. This is terrible practice. Not only could you injure the fish by accidentally hitting it with the frame of the net, but you could potentially knock the hook out of its mouth or cause the fish to run for deeper water. 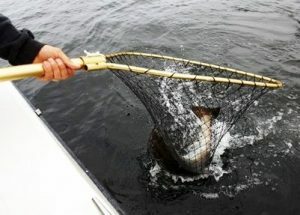 Use a scooping motion that goes down and below the fish and then bring the net upwards towards the surface. If the fish runs for deep water, they will swim directly into the net. If they decide to jump, your net is already directly below their bodies, so you have a better shot at catching them mid-air. 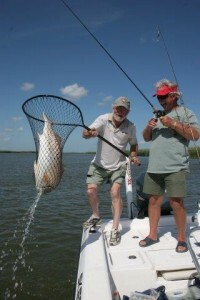 Once in the net, make sure he doesn’t spend all day in there if you do not intend on harvesting the fish. Get the fish out, take your pictures, and release him back to the depths. Too much time in the net can cause the fish to become overstressed and thus reduce their chance of a healthy existence after the fight. 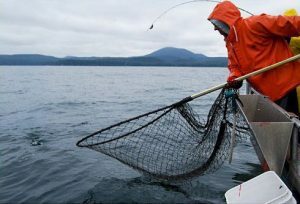 Furthermore, some nets can cause damage to the fish’s slime coating so be conscious of this when landing fish and when buying your next net.